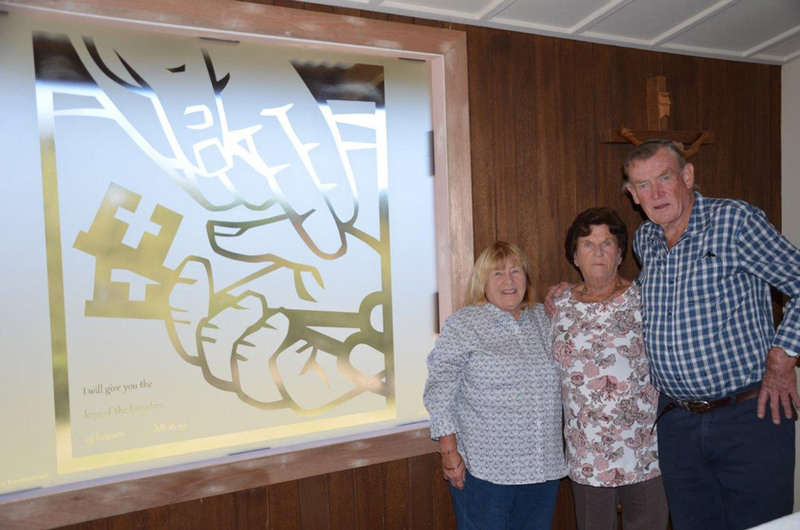 Standing by the new etched glass window in St Peter’s Church Binda are Lesley Nagle, Gail Johns and Kevin King. Gorgeous new etched glass windows have been installed at St Peter’s Church, Binda. Standing by the new window are Lesley Nagle, Gail Johns and Kevin King. The new window is behind the altar and floods the church with light. The original artwork was designed by Julie Lonneman a freelance illustrator in Cincinnati, Ohio and was published by Liturgy Training Publications, Chicago. The artwork is used with permission.